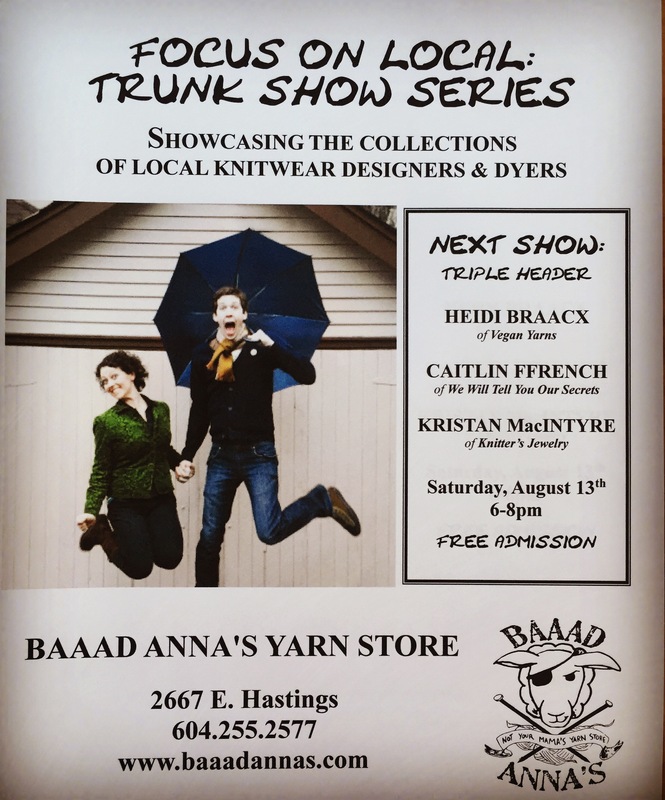 Our next FOCUS ON LOCAL TRUNK SHOW happening on Saturday August 13th is a triple header! Joining forces are the amazing local talents of Caitlin ffrench of We Will Tell You Our Secrets, Heidi Braacx of Vegan Yarns and Kristan MacIntyre of Knitter’s Jewelry. Keep an eye on this blog for more details of this amazing joining of creative forces!